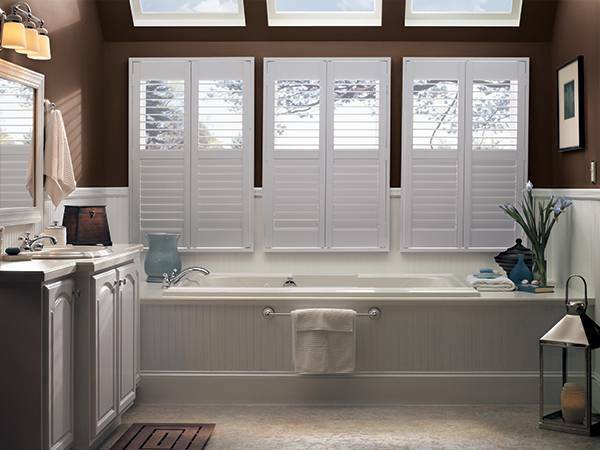 We carry the finest hardwood and synthetic shutters available. Dan-Dee's top quality interior shutters are made of the clearest grade of solid hard wood and synthetic materials available. Choose from a great selection of styles and sizes in stock, or let Dan-Dee create custom-made shutters just for your windows. St. Louis 1-1/4 Traditional Interior Shutter	Dan-Dee Shutters have specialized in providing St.Louis Homes with the 1-1/4 Traditional or Colonial style shutters since 1951. These shutters are custom made to fit any window using 3/4-inch thick stiles and rails with 1-1/4? wide moveable louvers in each panel. This product line offers the highest quality in finishing and can be painted in virtually any color to meet decorating requirements. Classic Dan-Dee Wood Shutters Our in shop Classic Dan-Dee Wood Shutter product line provides the highest quality in finishing. This product can be painted in virtually any color to meet decorating requirements, and can be shape to fit any irregular sized window with old school hands on craftsmanship. 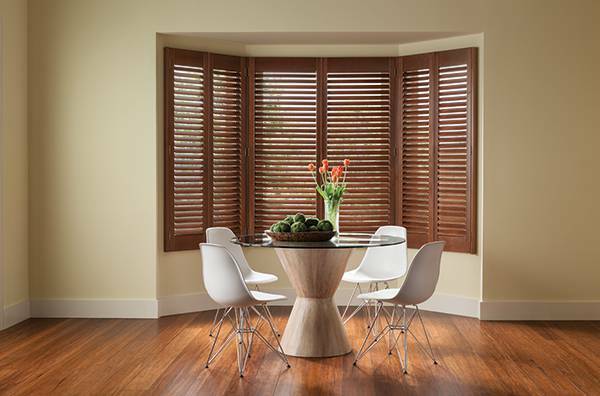 The Classic Dan-Dee Wood Shutter is a Dan-Dee original, long-standing product line. Plantation Shutters Plantation shutters come in a variety of different styles and louver sizes ranging from 1 7/8"-2 1/2"-3 1/2"-4 1/2" in width. What size louver you choose is really a personal decision. The 2 1/2 inch louver is more traditional and is a great choice for average size rooms with normal ceiling heights. If you have huge rooms with soaring ceilings, the 3 1/2 inch louver may be a better fit. Your plantation shutters can be custom built to fit any shape or size window and with Dan-Dee's many years of experience you can be assured that the fit will be perfect.